One of the most tragic things you could do with an email is deleting it in error. With the number of devices you can use to access your email, it becomes easier to make a wrong swipe or hit the wrong button. Occasionally, a valuable email is even deleted while attempting to delete a bunch of useless ones. Once this happens, you enter a panic mode. There are, however, a few ways to guard against this. One way is performing a proper backup of your emails, and the other is understanding what steps to take to recover your emails even when they are deleted. There are a few ways to perform an email backup. In this section, we’ll show you how this is done using Google Takeout. 1. To use this service on your browser, navigate to Google Takeout and log in to your Google/Gmail account. 3. Turn the “Mail” switch on by dragging it to the right or by simply clicking on it. 4. 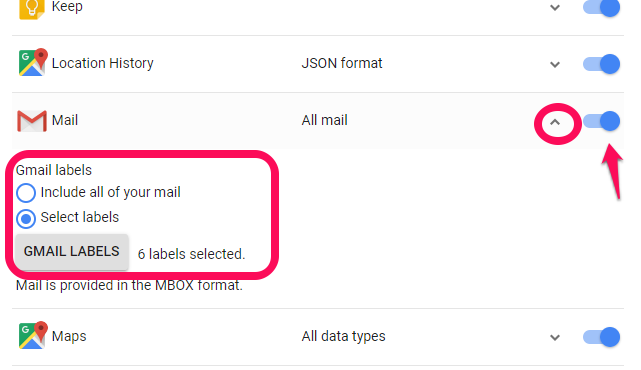 If you have a label created in your Gmail account for the email you want to back up, click the downward pointing arrow in front of Mail. This opens options. 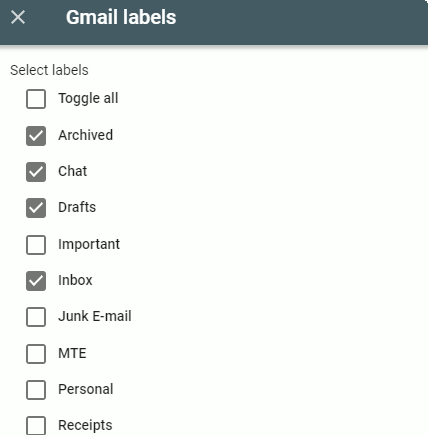 Here you should select the option for “Select Label.” It opensa list of labels in your Gmail account. 5. Select from the list of labels whichever you need to be backed up, and click on OK by the top-right corner of the window. 6. Scroll down to the bottom of the page and click Next. 7. On the next page you can change the settings according to your need. I will usually only change the “Delivery method” settings at the bottom of the page. You can select between any of the options provided. 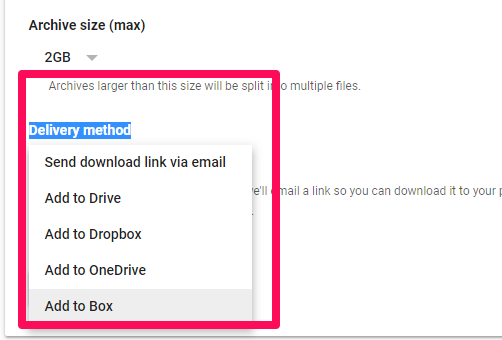 Usually, I either use the default “send download link via mail” or alternatively pick either DropBox of Google Drive. Do note that the download will come with a .mbox extension. To recover it you will need an Mbox viewer, which will be explained in the next section. 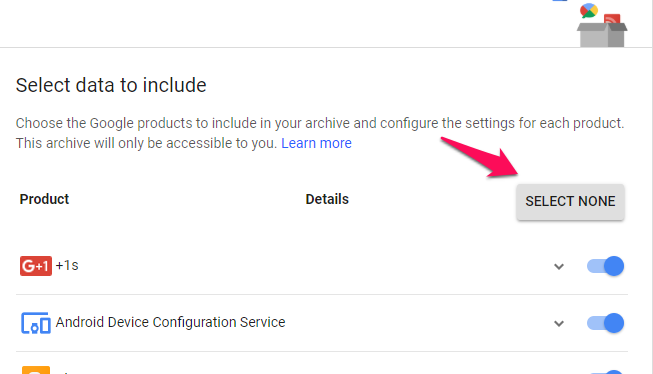 After you have backed up your email using Google Takeout, an email will be sent to you as soon as the backup process is completed. You will need to follow the below steps. 1. Open your Gmail and locate the email for your completed backup. 2. Download the file to your computer by clicking the link in the email sent to you. 3. Download and install MboxViewer. 4. Open MboxViewer and click on the “Add file” menu followed by Next on the pop-up that appears. 5. Click on the button with three dots to select the Mbox file that you just downloaded from your email. 7. 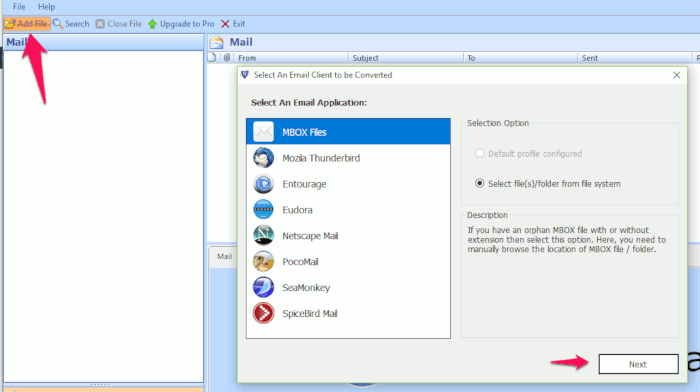 On the left pane of the MboxViewer, click on “Mail,” and all the emails will be revealed on the right pane. A problem you may face with your email is deleting emails you wished you kept. The following is how to recover emails after you have deleted them. If you have deleted important emails if have not emptied the trash, you can recover them from the trash. To do this in Gmail, simply scroll down to Trash on the left pane and click on it. All your deleted messages will be displayed on the right pane. Do note that the trash is emptied every thirty days, so if you have deleted the emails and the trash is empty, you can follow the next option. To recover emails that are permanently deleted (when you have no backup), you will need to contact the Gmail support team. The link takes you to a form. Once you have filled the form, your request will be worked on, and your deleted emails might be restored (only if they can recover it). 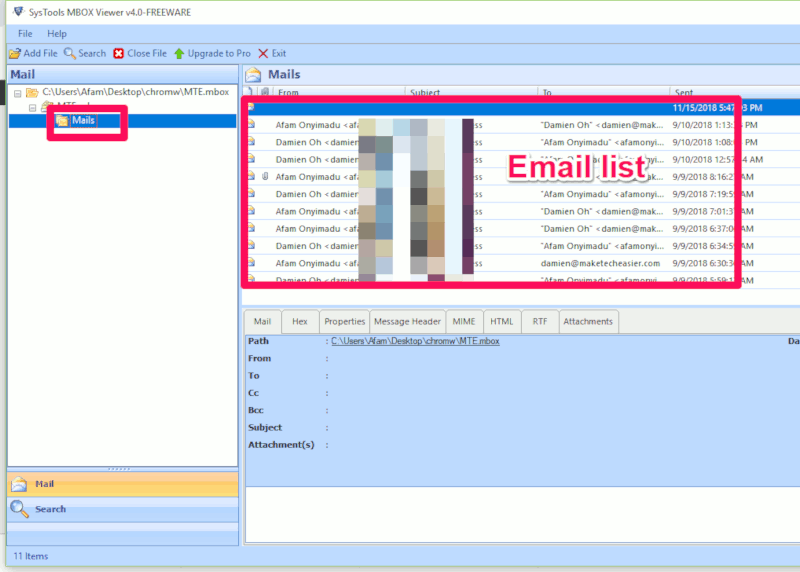 You will have to specify the email address you need to have emails restored to, the date you noticed the missing emails and if you are currently logged into the email. The rest is up to the Gmail support team. PREVIOUS POST Previous post: Cyber Monday Deals Hub: Save on Apple, Google, Amazon devices, TVs, fashion, home goods, more!